When one thinks about sports in the great state of Texas, hockey doesn't come to mind. Jason Farris, the Chief Operating Officer of the Dallas Stars, is out to change that with the publication of two books that went out to season ticket holders, but that are also available to the general public. 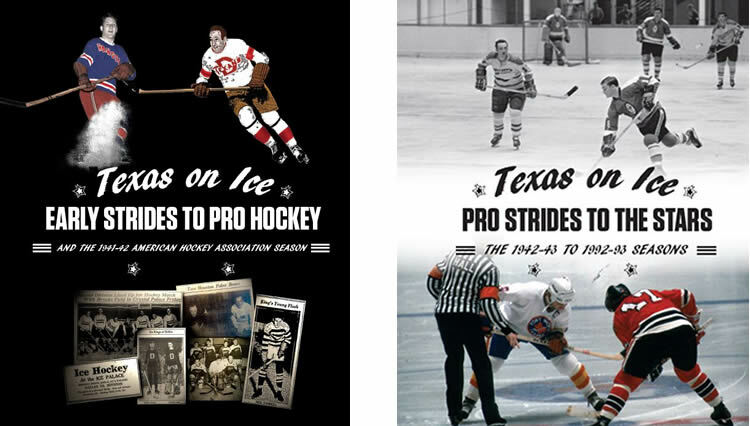 The first of two Texas on Ice books is entitled Early Strides to Pro Hockey and the 1941-42 American Hockey Association Season, and deals with hockey in the late 1800s, into the rise of roller skating in North America – the world's largest indoor roller skating rink was Texas – before heading in the 1920s and the Dallas Ice Kings, and as well as teams in Houston and San Antonio, wrapping up with the first pro teams in the state ? the 1941-42 Dallas Texans and Fort Worth Rangers of the AHA. The second is Pro Strides to the Stars: The 1942-43 to 1992-93 Seasons, which is a little more familiar to most fans, with CHL and USHL teams and even the championship WHA squad in Houston. Both are solid, well-researched and concrete proof that hockey indeed has a deep history in the Lone Star State. As the steward of a team putting together the books, Farris laid out the plan. But even he came away with new knowledge. It's not like Farris didn't know his hockey either. Born in Vancouver, B.C., in 1967, he was a Canucks fan through and through. He loved playing goalie when young, but plays forward these days in local men's league games. For many years, he was a referee for minor hockey. Away from the rink, Farris got a degree in physics from the University of British Columbia, followed by a degree from the University of Toronto in political science. He added an MBA from the MIT Sloan School of Management in Cambridge, Massachusetts. He's been a member of the Society for International Hockey Research for over 20 years. 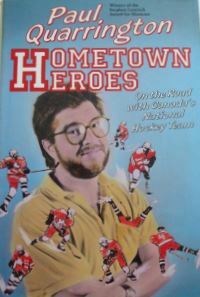 Along the way, Farris got into writing about hockey, including Hail Cesare! with goalie great Cesare Maniago; the acclaimed Behind The Moves: NHL General Managers Tell how Winners are Built; Hockey Play-By-Play: Around the NHL with Jim Robson; and the hard-to-find (since it was presented by Budget Brake and Muffler and sold exclusively at London Drugs in B.C. as a fundraiser) Hockey Play-by-Play: Canuck Captains with Jim Robson. But perhaps knowing how little money there seems to be in writing -- especially since all the books were put out by his production company, circaNow Productions (www.circanow.com) -- Farris always had other gigs, including executive positions in financial services, software, publishing and online media. 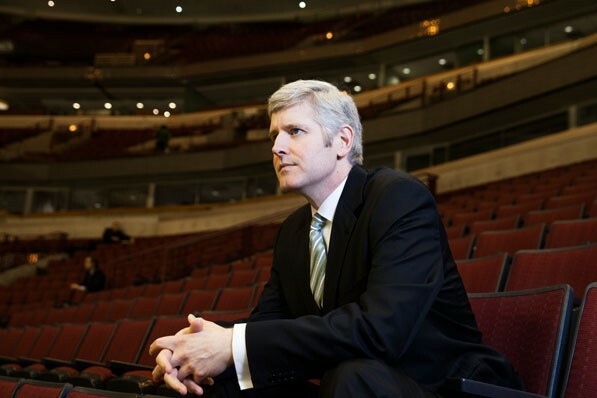 Until joining the Stars, Farris was President and CEO of Citizens Bank of Canada. He's excited for the Dallas Stars over the next five to seven years. “When we came here in 2011, this was a team purchased out of bankruptcy that had been under league control for a couple of years and had really lost its way, and missed playoffs for five straight years, and season ticket holders had winnowed down. Yet its in a phenomenal market and really there's not just a rich tradition of hockey here in Texas, but the Stars obviously have a very rich history with a Cup and some pretty dominant teams through the end of the last decade.” For every asset there was a “frayed end” that they had to deal with. Things are looking up. “We feel like we're in a spot to contend and compete for a Cup again for a number of years." A big reason for the books is to educate the fanbase, sure, but it's also to reengage fans of past teams. In fact, those older fans were essential in the Texas On Ice books. There's something in there for everyone, the various CHL teams like the Dallas Black Hawks and Fort Worth Wings, or the WHA's Houston Aeros, and a couple of shifts of lesser-known teams in smaller leagues. The first book has a lot of newspaper clippings simply because there was less memorabilia to fill the pages. That is certainly not the case in book two. 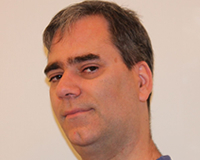 Officially Farris was the executive producer of the books, where he established the table of contents and had a rough page by page plan. He hired and assigned the writers (Mike Miller, Jeremy Rasmussen, Timothy Gassen, Doug Allan, Ed Reusch) and worked with his sister-in-law, Adrienne Painter, on the design. Both books relied on sponsorship to happen as well, and the business side is also one that Farris is more than comfortable with, so he worked on those deals. The team just announced the Texas Hockey History Center, which will be a 5,000-square foot display of history and artifacts to the renovated Dr Pepper StarCenter in Farmers Branch rink, Texas, that the Stars operate (located between the downtown American Airlines Center and the team’s practice facility in Frisco). The target is to open it by next June, in time for the NHL draft coming to town, and to coincide with the team's 25th year in Dallas. The facility will also house the Dallas Stars Alumni Center. If you are not a season ticket holder with the Dallas Stars or its AHL affiliate, the Texas Stars, based just outside of Austin, Texas, then head to www.texasonice.com to order a copy. The passing of Pierre Pilote, Hockey Hall of Fame defenceman, on Sunday, September 10, hit me pretty hard. I considered him a friend. 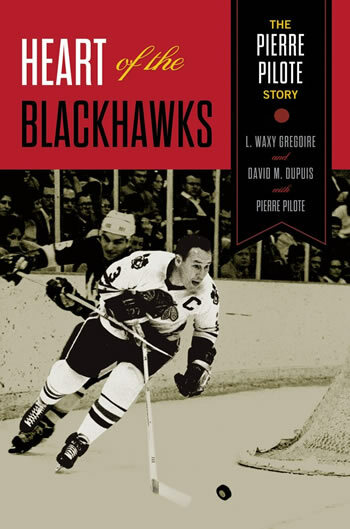 It started when I was asked by ECW Press to edit the Pilote autobiography in the works by SIHR members Waxy Gregoire and David Dupuis. My son and I went by Pierre's home in Wyevale, Ontario, not too long after his wife Annie had died. He had a lot of photos around the house that he showed us, took us to the basement to see the replica Stanley Cup from 1961 and the Norris Trophy replicas too. Pierre took Quinn, who was five, out to the backyard, where the Blackhawks great had set up a little practice pitch and putt golf course; he proceeded to teach Quinn how to play. What a great memory. From there, we all met with Waxy and Dave for Dock Lunch in Penetanguishene, and agreed to work together. The edit was a challenge, as Waxy and Dave had totally overwritten, and I took out roughly 50,000 words. As I returned the edit, I also asked for a lot of clarifications and a few additions even, things that I thought were missing. There were numerous times I saw Pierre in the following years, including at Hockey Hall of Fame events; I especially remember riding the escalator together heading up to the launch of a set of Canada Post stamps featuring Original Six defencemen. Rest in peace, Pierre. You were a gem.